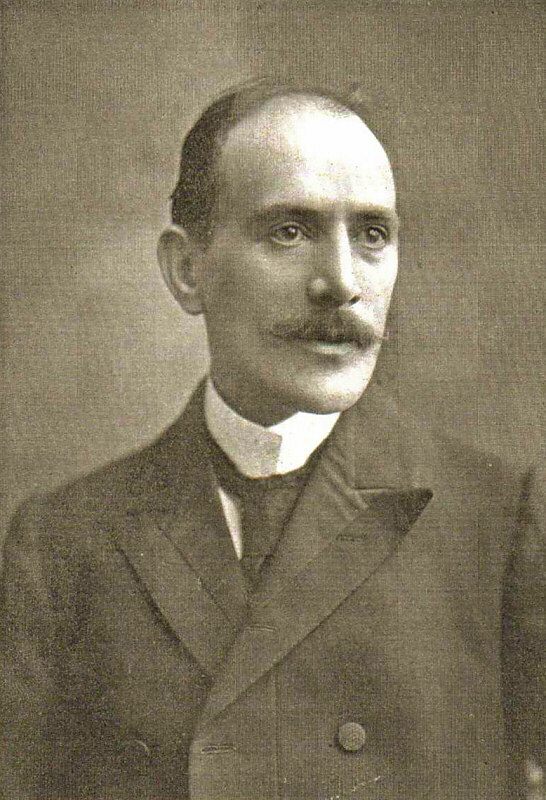 Professor John Gordon Longbottom A.R.C.S., M.I.Mech.E. 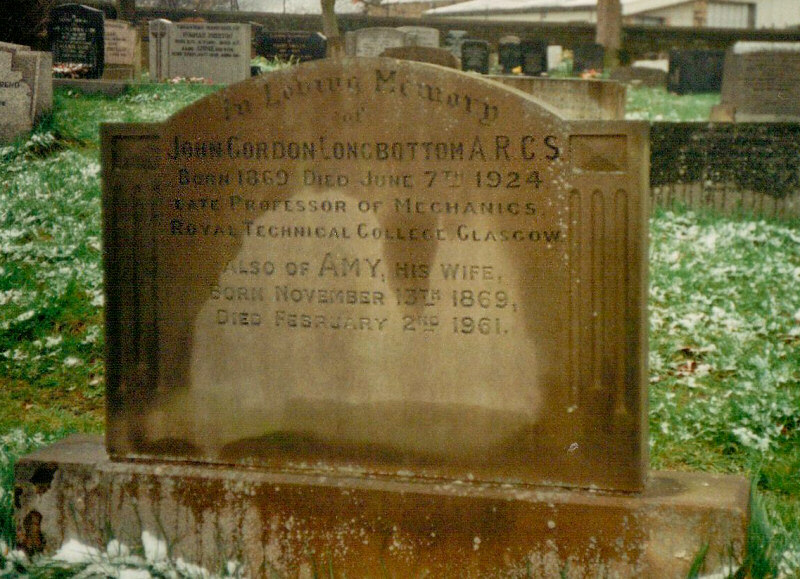 John Gordon Longbottom was a cousin of my grandfather's and is buried in St Thomas's Churchyard in Sutton. He belonged to the Sutton Longbottoms, who came to the village from Steeton in 1807. The family were textile machine makers and mechanics and also opened the King's Arms Inn, originally in King's Court, just off the High Street. 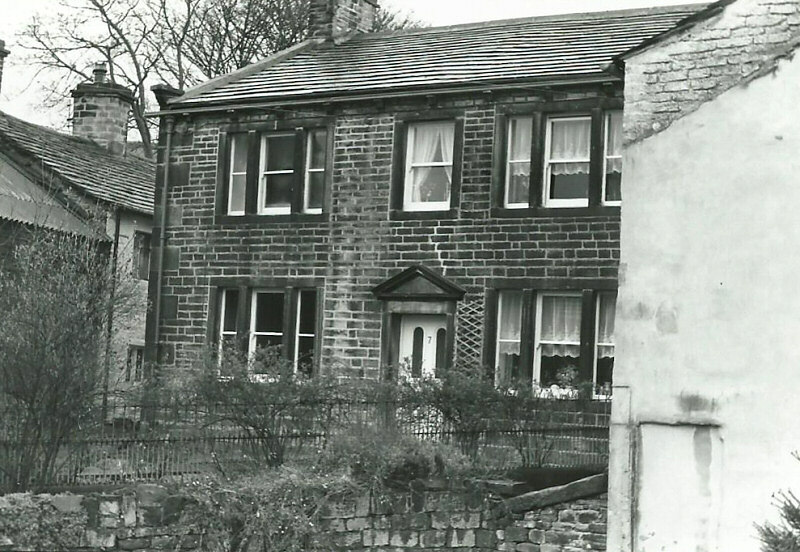 When the pub was moved to the present site the property reverted to the family home. John was a pupil of the Keighley Trade and Grammar School and went on to win a National Scholarship in 1890 and the Whitworth Scholarship in 1893. He studied at Bradford Technical College, the Royal College of Science and University College, London, eventually becoming Professor of Mechanics at the Royal Technical College, Glasgow. He was a World recognised authority on rotor dynamics and designed the testing apparatus used by the College. He also designed and patented a 100 ton testing machine in association with scales company W & T Avery Ltd. As a consequence of his expertise he spent time in Toronto working on the Niagara Hydro-electric Power Plant. His son in law, Gordon Rix, told me that when the original shafts that drove the turbines cracked they sent for John. He recalculated the size they needed to be and recommended that the new ones should be reduced in thickness in order to allow for more elasticity in the metal. The new shafts were ordered and satisfactorily installed. John was also a member of the Institution of Engineers and Shipbuilders in Scotland and according to family tradition did the calculations for the thickness of the armour plating on the Dreadnought battleships. The Longbottom family lived in King's Court from 1830 until it was sold to Denis and Edgar Marklew in the late 1950s. John's father, Spence, is also buried in St Thomas's. He was a textile machine mechanic and eventually retired with a pension granted by Prince Smith, Keighley, for his part in developing the self doffer for spinning frames. The Longbottom family home in King's Court, Sutton. 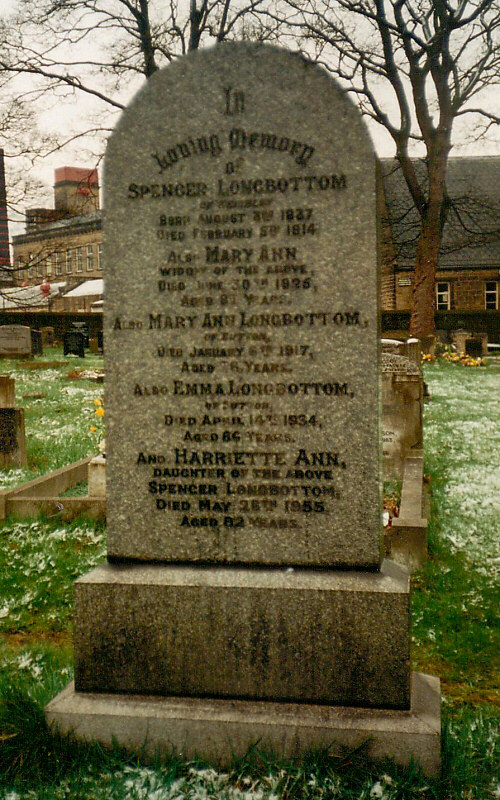 John Gordon Longbottom's memorial stone in St Thomas's Churchyard, Sutton. known as Spence, in St Thomas's Churchyard. With thanks to Robin Longbottom for providing this article. August 2014.